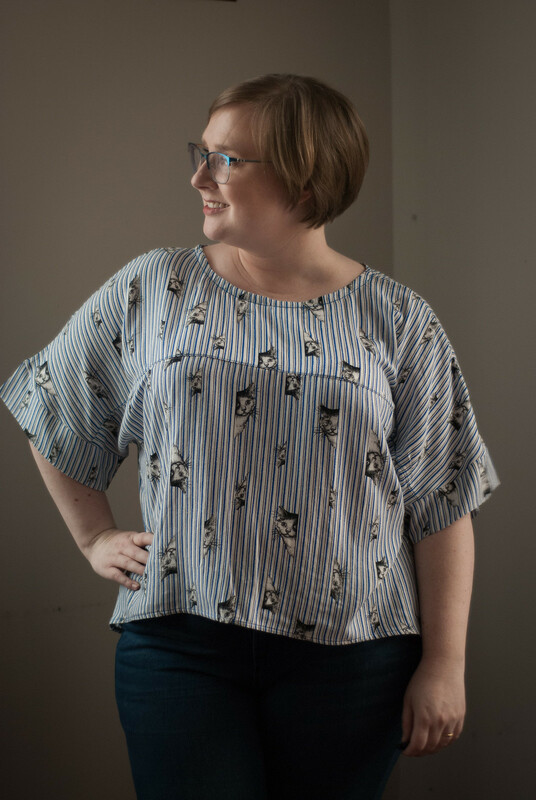 I am so excited that my dear friend and Sewcialists Editor Becky has released her first pattern, the Ione Shirt from Workhorse Patterns! I’m proud to have been a tester and a model for the pattern. When we “hire” for Sewcialists Editors, we are always looking for people who are “movers and shakers”, someone who is going somewhere with something to say. Becky is the perfect example of that – she is driven, passionate about inclusion, and tirelessly hardworking. She does a huge part of the work behind the scenes at Sewcialists, and you see all those skills come to play in her own pattern line as well!